Membership shall include four members representing the different types of libraries; one representative each from the S.C. State Library and the USC College of Library and Information Science; with both the First Vice-President and the Executive Secretary serving ex officio. 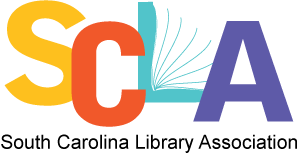 Evaluates the continuing education needs of South Carolina librarians and makes recommendations and suggestions to the various Sections, Round Tables, and Committees of SCLA. Endeavors to assure quality in continuing education activities by providing guidelines, training, and information to the Sections, Round Tables, and Committees. Evaluates continuing education activities in conjunction with Sections, Round Tables, and Committees and to report findings of the same. Coordinates continuing education activities and maintains records on programs, providers, and resources. Publicizes and promotes continuing education activities and opportunities.